Emerging in urban centers across the country, city-level innovation districts are geographically distinct areas intended to attract cutting-edge companies, research institutions, startups, accelerators and other related entities, creating a dense community of innovators and entrepreneurs. Understanding how these innovation districts can harness the strengths of each sector is particularly important in an era of urbanization, limited public resources and increased expectations of public sector innovation. 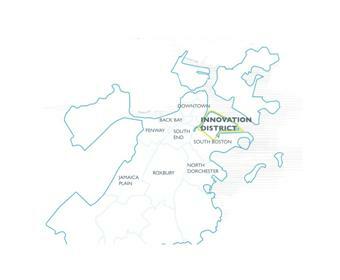 At The Intersector Project, we have recently completed a study of Boston’s Innovation District, drawing from interviews with stakeholders including entrepreneurs, nonprofit leaders and officials from the Mayor’s Office and the Boston Redevelopment Authority (BRA). The development of the District provides an outstanding example of a government-led economic development approach involving collaboration across sectors. It also demonstrates what Mitch Weiss, former chief of staff to Boston Mayor Thomas Menino and now a lecturer at Harvard Business School, has described as “public entrepreneurship.” Public entrepreneurship is an approach to public sector management that draws upon a set of “lean” startup principles, including hypothesis-based experimentation and testing, iterative learning and speed, agility and willingness to pivot. Following this approach, Boston’s public sector led the development of the District. This economic development strategy aimed to revitalize an underutilized parcel of land by attracting both established companies and emerging entrepreneurs, and developing infrastructure and amenities to holistically support work-life opportunities, with minimal use of major tax incentives or costly capital investments. 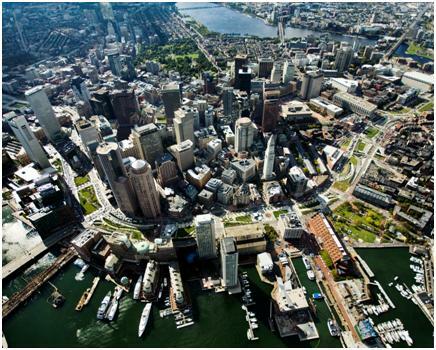 Over the course of the next five years, the Mayor’s Office and the BRA successfully worked to secure anchor tenants like MassChallenge and Babson College, develop public meetup spaces like District Hall, encourage affordable housing and a variety of dining and entertainment options and more. By the summer of 2015, the District was in a state of transformation. More than 5,000 new jobs have been created in the Innovation District since 2010, as over 200 startups have set up shop in the area. About a quarter of these firms have fewer than 10 employees, and approximately 40 percent are housed in shared workspaces or incubators. While the Innovation District project supports several key takeaways for cross-sector collaboration (more can be found in the full text of the report), it also illuminates the tension inherent in the public sector’s relatively experimental, hands-off approach. Reflecting the District’s goal of “clustering” entrepreneurs, Weiss argued in 2010 “proximity matters perhaps more than ever for invention and innovation.” Yet, the sustainability of the District as a geographic hub of innovation as it was initially conceived remains in question as high-end new developments crowd out early stage entrepreneurial activities. Rising rents and capacity constraints have compelled a number of local startups to head to other parts of the city, including Downtown Crossing and the Financial District. While residential buildings slated for construction in the District will include a portion of micro/innovation units, rents even for these units are soaring as demand to live in the area rises. “Looking back I wonder whether we could have made some contingent arrangement,” such that if certain financial conditions were met, developers would be required to “do more for innovation … like set aside more space or commit to an [innovation investment] fund,” notes Weiss. Relative to the initial goals of the project, it is worth considering whether any key decisions could have been made differently to enhance the long-term sustainability of the area as a startup hub. Could a greater share of the residential and commercial space have been set aside for “innovation” uses, for example? Could contingent contracts have been put in place with the developers such that broader innovation requirements would be triggered if certain financial or occupancy milestones were reached? Or would these have been at odds with the public sector’s flexible approach? For more on these questions and on the Boston Innovation District, read our full report online: The Development of Boston’s Innovation District: A Case Study of Cross-Sector Collaboration and Public Entrepreneurship.